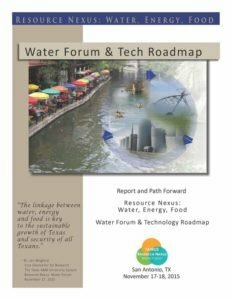 The Texas Water Development Board (TWDB) and National Science Foundation Research Coordination Network on Climate, Energy, Environment and Engagement in Semiarid Regions (NSF/RCN-CE3SAR) co-sponsored the 2016 Texas Water Roadmap Forum. 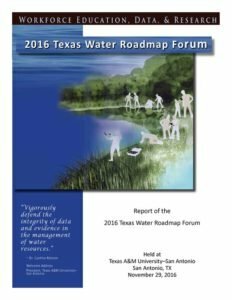 Focusing on workforce education, data, and research, the forum was hosted by the Institute for Water Resources Science and Technology on the campus of Texas A&M University–San Antonio on November 29, 2016. 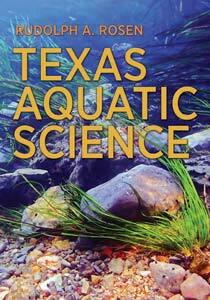 The forum brought together Texans from diverse technical, academic, research, management, and business backgrounds in water to participate in the third in a series of Texas water roadmap forums facilitated by NSF/RCN-CE3SAR. The 2016 Texas Water Roadmap Forum is the last in a series of three water roadmap forums. 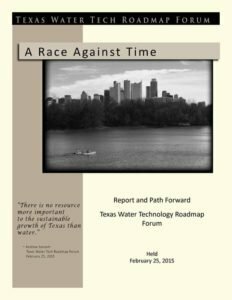 By envisioning a future Texas where water security is assured for people, industry, and nature, forum participants sought to develop solid plans for action to help secure Texas' water future. In the area of data management, forum participants listed their vision for the future and actions to achieve the endpoints envisioned through enhanced data storage, use, and access. They concluded that government entities, but not any single one, are best suited to build and maintain the requisite data platforms. They suggested a measured evolution by working through large-scale collaborations to create data repositories, develop standards and norms for databases, and use big data analytic platforms and dashboards for data interpretation and visualization. For workforce education, participants sensed little effort by universities to realign curricula to meet the needs of an industry rapidly evolving as new technologies and regulatory requirements change water workforce education requirements. They suggested students be offered a broader curriculum than generally available through traditional civil engineering degree programs. They supported internships to provide students with experiential learning opportunities. They also advocated locally offered education for local water industry jobs to address the need for the water workforce to be reflective of the society it serves and to meet the varying nature of water infrastructure of differently sized and rural communities. Participants listed research underway versus research that industry and government currently need. The two lists were markedly different, with only one broad area of overlap: desalination technologies and energy demand. They proposed follow-up response by forum attendees in 10 areas of water-related research. 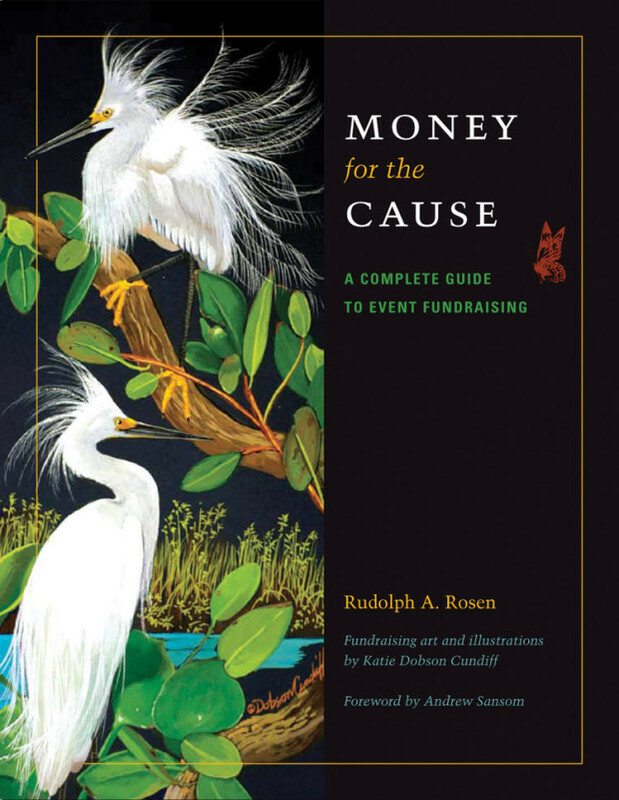 For funding and partnership development, participants felt that it will be more effective to work through existing partnerships than to create new ones. They agreed to explore a series of collaborations, including (1) a large-scale collaboration on improving dataset use and access, with discussion to be hosted initially by the TWDB, and (2) forming partnerships with small communities for new work on capital-related projects to be supported by financing available through SWIFT and the state revolving fund.